Hartlepool NDC Trust is a community led charitable company delivering innovative regeneration projects, with a range of partners, making a positive difference for the residents of central Hartlepool. It was established as a legacy body of the Hartlepool New Deal for Communities Programme that ran for 10 years at the beginning of the millennium. The Trust manages two subsidiary trading companies in different sectors but with very similar core aims of local regeneration and the creation of access to opportunities for the people of Hartlepool. The largest current operation of the Trust is the construction training company, Opening Doors. As well as providing real technical experience, it prepares trainees for work. Revival is a holding company for the Trust and it owns a number of assets including six residential properties, a hotel, a commercial unit, a community centre and a car park. 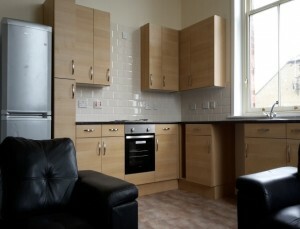 The properties are managed by the Trust and the houses are let out at an affordable price to those in need of housing. 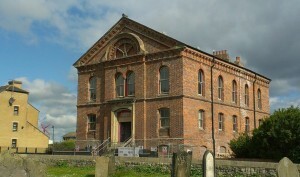 Hartlepool Borough Council owned the Morison Hall, a former Methodist church that had been derelict for 20 years. They approached the Trust with an offer of an asset transfer. It happened that the Trust owned a car park that was not in use and following negotiations with the council it swapped the car park for the Church. The Trust had already managed to access £351k of funding from the DCLG’s Empty Homes Programme, which opened the door to allow the Trust to lever in another £659k, the majority of which was a very low interest loan from the Local Authority. The £1M+ project was the biggest project the Trust had ever undertaken therefore professionals from Thirteen, Hartlepool’s largest Registered Social Landlord, were appointed to manage the project. 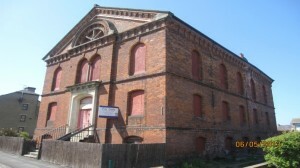 Morison Hall sits in a conservation area which has greatly restricted the work that could be undertaken on the building and the materials used. Years of arson attacks meant that the whole of the interior needed to be stripped out and painstaking restoration of the external brickwork resulted in over a thousand individual bricks being repaired or replaced. Problems in the transfer of the building itself, due to legal wrangling over a small strip of land, resulted in a delay of seven months to the project which, in turn, presented the Trust with a challenge in spending the grant money on schedule. Escalating contractor costs meant that the Trust had to renegotiate the loan arrangement with the Local Authority. However, despite these challenges, the restoration of the Morison Hall and its conversion into eight 2-bedroom apartments is now complete. The Trust are proud to have been able to bring a key building in the oldest part of Hartlepool back into use and the work has attracted much praise from the local community. The Trust has given training opportunities to over 40 people over the duration of the project. These people have been NEET, long term unemployed, college students and people recovering from mental health issues. The housing units will be owned let and managed by the Trust and have already generated plenty of interest. 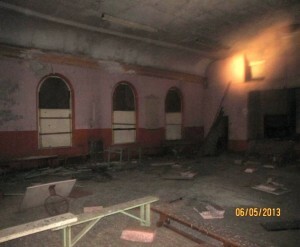 Read about the Morison Hall project.